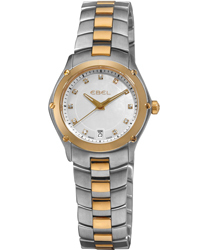 Ebel watches began their life in 1911 when the company was first founded by a man called Eugene Blum and his wife Alice Levy. Both brought great their own personal traits to Ebel watches with one focusing on design and the other focusing on the more technical aspects of the business and their first watch was produced in 1912. Their great partnership allowed Ebel watches to grow as a business and it was passed down to their grandson who in the late 20th century also helped the business grow even further. 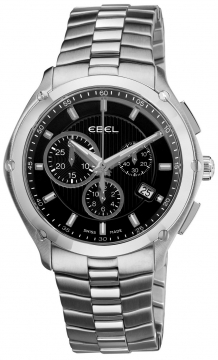 Ebel watches have one of the most recognised slogans in all of watch manufacture, a slogan that is as catchy as it is representative of the brand and it is ”Architects of time”. A key milestone for Ebel watches was in 1939 when they became the official supplier to the British army enhancing the brands recognition and reputation. 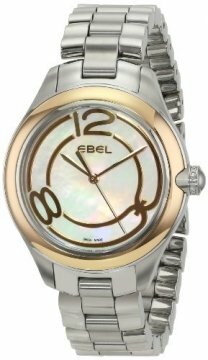 Today Ebel has such popular collections as the 1911, Beluga, Brasilia, Ebel Classic, X1 and Sportwave watches. Ebel in recent years has also moved with the trend of using celebrities and famous personalities as ambassadors of the brand and many famous faces can be seen wearing Ebel watches at major events. Today Ebel watches are under the ownership of American group Movado.